Driving for companies like Lyft and Uber is fast becoming a niche employment option for people who want to use their own cars to make extra (or even full-time) money. The possibility of flexible hours, good money, and meeting interesting people while serving their communities all make rideshare driving an attractive option to many. But the key to success in the rideshare world is knowing when to offer rides to make the most money. Here’s a crash course on the best times to be an Uber driver—and maximize the freedom that comes from being your own boss with your own hours. It’s not just a cliché — “the best time to drive for Uber” really does depend on where you’re driving. Most major cities make note of peak times to drive based on how heavily Ubers are requested in given areas. This is a factor in what Uber calls “surge pricing” — times of heavy request where fare prices are doubled, tripled, or even more. Make sure you remember that a surge is determined by where the rider is requesting from, not where you are — so you will only get the higher fees if you respond to a request from a surge location. These will be marked in red on your app. The darker the red, the greater the demand. So When Are Surge Times? These vary by city, but generally, watch for Friday and Saturday evenings from about 8 PM to 3 AM. This, of course, is when lots of the bar crowd is either going to, coming from, or otherwise continuing and alcohol-fueled adventure. Be very certain that you can tolerate the antics and nonexistent inhibitions of inebriated millennials – the community of Uber drivers is sharply divided over the value and worth of spending hours carting around people too drunk to see their own hands on front of their faces. But if you have the strength of will (and washable seat covers) to tolerate it, you can make a fair amount of money. Surge prices are calculated by a multiplied factor — say 1.5, 2.5, 3.6, etc. The higher the multiplier, the greater the demand and the greater potential fare. This is added atop the total trip fare (base + distance + time), plus any tolls that might be involved. 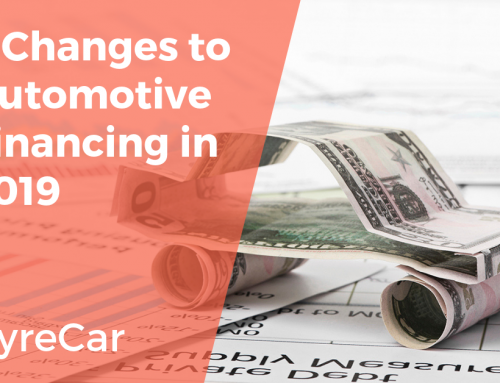 Any cancellation fees, tolls, and surcharges are not affected by surge prices. The surge amount will be listed separately on your ride statement. Some mornings are peak surge times as well, as are some early evenings (i.e., rush hour). More on these later. This is an important point that follows from the bar scene mentioned above. Besides location, “best times” are also determined by the preference of the driver. Do you want to get up at 4 am? Then airport runs for business people might be perfect. Are you a night owl who isn’t easily offended? Then do the bar run thing. Are you really good at maneuvering rush hour traffic? Then take rides during the early evening when everyone in the world is getting off work. It’s important to remember that your tolerance level, stamina, and willingness to work in odd situations or hours will affect what qualifies as “best times” for you. 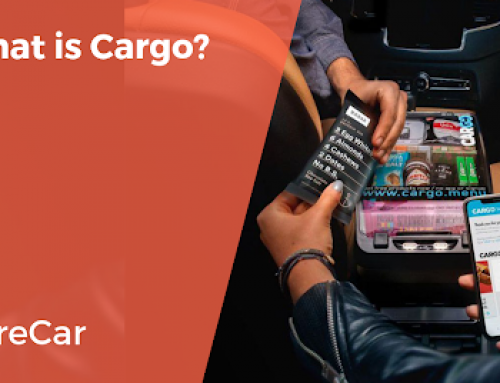 Rather than give their friends the opportunity to navigate the harried environment of a major international airport, many people — especially very frequent fliers – are relying on Uber for being whisked there and back. This would be another example of potential surge pricing, as who isn’t eager to get to the airport with enough time to be groped by the TSA and get lost trying to find their gate, in time for an overpriced flight? Apparently a whole slew of people. This is an area where a lot of money can be made, especially if you’re willing to get up early. Ubers are scarce in the wee hours, so riders are usually willing to pay more for a ride if it means getting to the airport in time. Some drivers even do this regularly with the same customers. A word of caution is in order here: Make sure you know the rules and requirements of your airport if you’re going to pick people up! Different airports require Uber drivers to wait for their riders at different places (one driver reports almost getting ticketed for waiting at arrivals instead of short-term parking), and some airports do not even allow Ubers at all. Rush hour, of course, is affected by when people get out of work and the distance of commute between work and home. And, of course, it’s worse in larger cities. But if you’re willing to deal with a part of life you have to deal with anyway, why not get paid to do so? 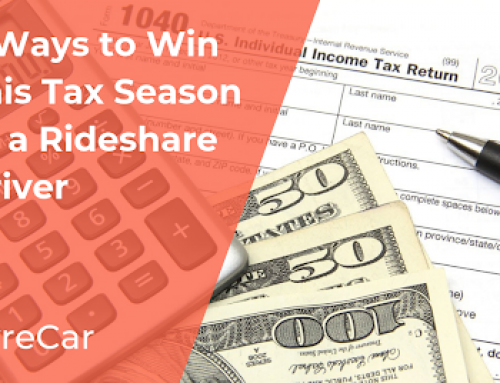 If you’re smart about when you accept rides, you can maximize surge prices and rake in a fair amount of cash. As I mentioned above in the general section on surge times, late evening to early morning (approximately 8pm-3am) can be peak times especially in larger cities, when everyone is going to or from various bars, nightclubs, and other weekend venues. I already mentioned you might have to possess a strong constitution to deal with people who are almost certainly drunk beyond definition, but here are a few reasons why you might want to put up with it. First, the sheer number of people wanting rides will mean surge prices are going through the roof, and you’ll want to take advantage of that (even just giving people rides to various paces, instead of back home afterwards, can be an option). 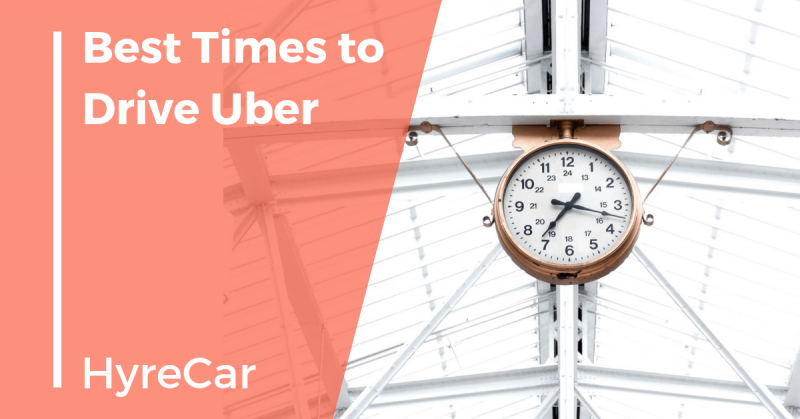 Second, the later hours tend to mean there’s less traffic on the road, which enables you to get moving and get to your destination faster (most Uber drivers say the majority of their money is made while moving, not while sitting and waiting), and this means there is more time to accept more fares. Even Sunday nights can be a surge time, as lots of people are eager to get home from the clubs and bars for work the next morning. And in some college towns, Thursday night is known as “practice night” for the weekend, so you might be able to garner a lot of fares then. Finally, on the somewhat more altruistic side: Yes, these drunk people might be making total fools of themselves in your car, but at least they’re not driving and endangering themselves and others. And you can feel good about that. Nobody likes working on holidays, and admittedly surges here can be inconsistent. Still, many Uber drivers will swear by the explosion of requests they get on New Year’s Eve, both before and especially after midnight. The reasons for this are obvious: everyone is either going to or coming from a celebration, likely one with lots of free-flowing booze. So if you don’t have anything going on that night…or even if you do…you just might be able to double, triple, or quadruple your fares. Another good time to drive is during lots of rain or even hurricane warnings. These, of course, vary depending on your location, but generally, people don’t fancy driving themselves around in inclement weather. These too can be inconsistent (some people may not want to go out at all, even in an Uber), but some drivers have found that bad weather ups prices and demand. 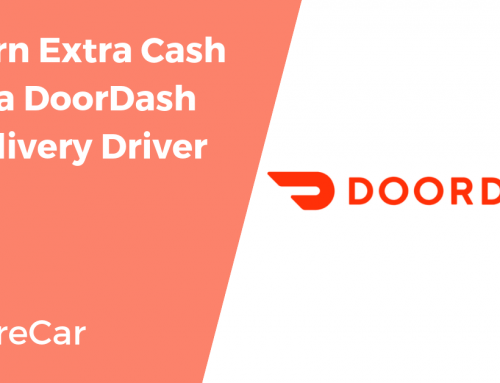 If you’re a fare driver and not frightened of skidding, hydroplaning, or getting ripped off the highway like a weed from a garden, then Uber driving during nasty weather just might be a way to make some extra cash. Uber, like most things in our constantly-in-flux culture, is unpredictable. Locations vary. Living costs vary. Interest varies. The ubiquity of Uber even varies (gasp!). So the best time to drive for you may be wildly different from another driver, even in your city. But as our culture continues to become more technologically complex, more smartphone-driven, more creative and flexible in earning potential and employment and possibilities, it’s inherently possible, even likely that if you’re smart and you hustle, you can make a nice living by being an Uber driver. Willingness, hard work, and a knowledge of the system and your city can all work in your favor. Find what works for you, stick with it, and see just how far you can go. Happy driving! Good article on spending time wisely on driving Uber or Lyft. I would also mention to drive away from where all the other drivers are clustered. When I stay near colleges and train stations I barely get anything. When I drive even 5 minutes away I start getting dings .. ..because I’m driving away from the clusters of available cars. Are you looking to rent a vehicle to start driving for Uber and/or Lyft? And depending on the airport, you will need to have a specific permit in order to pick up and drop off at the airport. It would be best to contact them to see exactly what is needed on your end. Airports give me so much anxiety. So many cars and lanes and having to find the space and opening to pull over as close to your rider as possible . Although dropping off is less stressful than picking up since you just need to try to pull over safely instead of trying to spot your rider among dozens of standing people and trying to find the space to pull over. Btw, can someone explain to me what exactly is destination setting and how that is supposed to be for your benefit ? Great article! I have to say, I love working at night and hitting those surges. Just be mindful of the late night drunks and be ready to clean their mess. Tip: buy seat covers, keep garbage bags in the truck with Lysol wipes, gloves and paper towels. Been driving Uber for 3 years. Lots a changes but all is good. Don’t be afraid to ask for tips in cash or on the app if your riders think you did a good professional job. You should be rewarded for your efforts beyond 5-stars! Figure out a plan to make Uber work for you. Happy driving! Starting Uber this week in DFW, Texas. With Summer’s slow, what’s the best bet…airport runs? 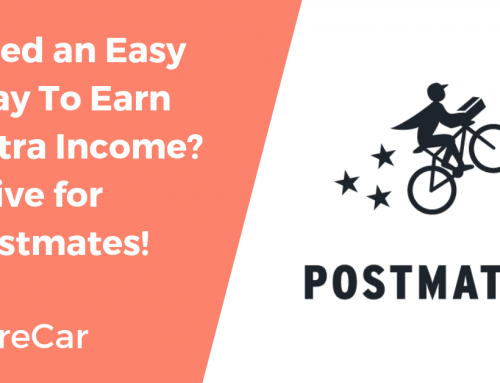 On earnings…if I drive 30 hours per week, not past midnight, what can I expect to earn? Is $700/week in the ballpark?